“Doesn’t follow directions,” will probably be my epitaph. Hopefully, it’ll be an epic adventure. Sometimes, those additions are epically good—and sometimes, they’re scary. Two notable examples include the oven-size omelet which was supposed to be a quiche. The over laden quiche pan boiled over due to the mushrooms, onions, and extra cheese. Now, the chocolate chip, coconut, peanut butter and oatmeal raisin cookies totally rocked. I wish I had written down those quantities! 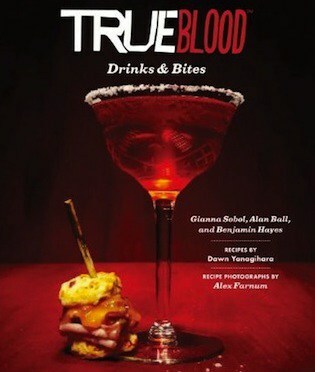 True Blood Drinks & Bites is a cookbook and bar guide designed with the truest of True Blood fans in mind. It contains simple recipes for “sips” and “bites” with a True Blood theme. Whether you like gin or ginger ale, you’ll find something appealing in the drinks section. You’ve got everything from summer coolers to hot spicy punches suitable for the holidays. I’d term the food “pub grub” which could easily be found on the menu of Merlotte’s or any other Louisiana bar. It’d be great for True Blood watch parties, Halloween parties, or for those who like Southern-style spicy and spooky for any event. Most of the food’s easy to prepare. 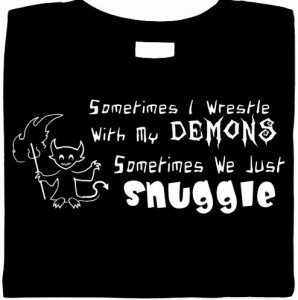 The most difficult or time-consuming items are made-from-scratch biscuit sandwiches (Werewolf Biscuits) and Stackhouse Ribs, a saucy barbeque recipe with some very unusual ingredients. Reviewing a cookbook is obviously going to be quite a challenge since I’ve stated my general character right off the bat. <Snerk> I’m going to select one recipe to attempt and comment on the success/failure of the venture. Therefore, I am having The Spouse (Tony) aid me with this task. I’m there to do the work. He’s there to slap my hands should I consider adulterating the mixture. Since it’s 90 degrees outside with over 45% humidity, we’re opting for the “Cheese Spread for the Undead,” otherwise the heat from the oven might make us melt. This is a fancy name for Pimiento Cheese Spread. It’s one of my favorite foods and something Tony tolerates because he loves me – and it’s better not to cheese me off. 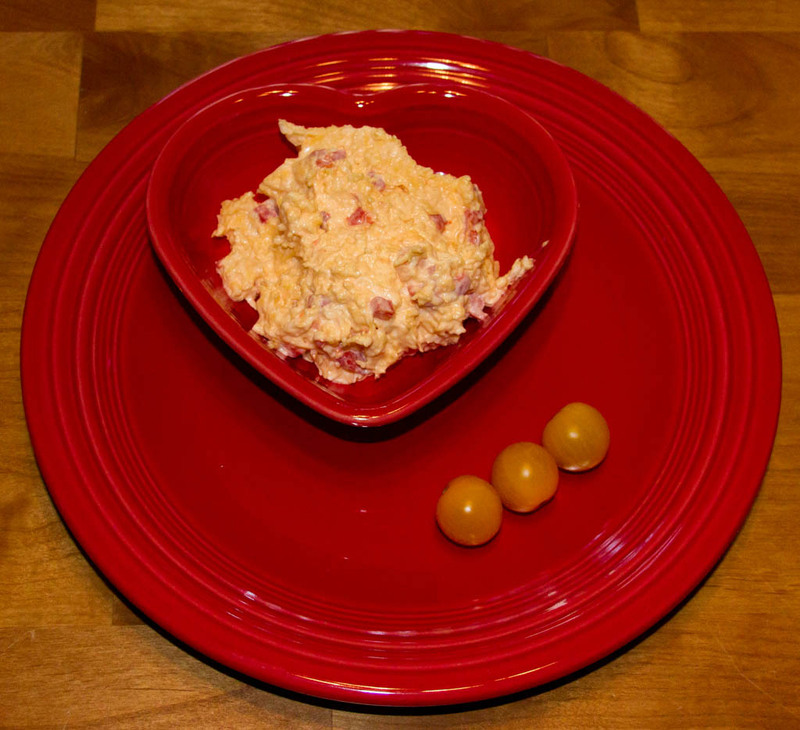 Cheese Spread for the Undead and its less fancy-named cousins are a staple of the South. You can get it plain to dip celery or crackers in as the recipe suggests or you can add it to a sandwich or hamburger. I strongly recommend the latter if you don’t mind a messy delicious cheesy sandwich. Recipe directions were simple enough to follow. The biggest preparation was grating the cheese. (I take threats from cookbooks seriously!) Unadulterated, the spread is actually quite good. Worcestershire Sauce and Tabasco give it a good kick and the garlic rub on the bowl might just keep the vampires away. We picked Tillamook Cheddar, which is made in Oregon and hopefully will not insult the true Southerners. Depending on the moisture content of the cheese you pick, you’re going to need part of the extra 2 tablespoons of mayo the recipe stipulates. I suggest aged or sharp cheddar if you like strong flavor. Milder varieties will tame down the spice. I pronounce the cheese spread awesome. Tony says it’s okay for cheese spread. In addition to recipes, the book contains photos and quotes from True Blood characters, which are amusing and interesting. 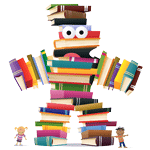 You actually don’t have to cook to enjoy reading the tidbits strewn throughout. Matter of fact, cooking with this book is somewhat awkward. 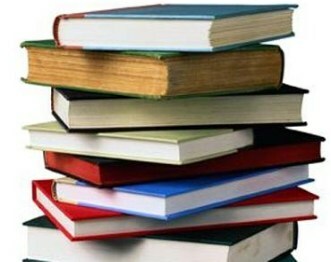 I prefer cookbooks with practical spiral binding, which will keep the book open to the recipe you are cooking from. You can weight this book on both sides to keep it open while preparing food, but I would suggest you simply photocopy the recipe you are going to use so you don’t mar the photos and artwork. My one gig is that True Blood Drinks & Bites doesn’t provide nutrition information. It’s easy enough to type in the ingredients of the recipes you want to use into a service such as My Fitness Pal and have them do all the work. Figuring out which recipes will suit your Paleo, Vegan, and Gluten-Free friends will be an even bigger challenge. More True Blood News, Reviews and Interviews Below! For the ravenous fanbase of HBO's smash hit series, True Blood Drinks and Bites presents 45 quick and easy recipes for themed gatherings and weekly watch parties, all inspired by the series' most notorious vampires and victims. From the creator of True Blood and his writing team, these are deliciously "in-world" appetizers, cocktails, and nonalcoholic drinks to enjoy as the drama goes down in Bon Temps. Think Scorn Fritters and Hot Dates, washed down with an ice-cold Spirit Lifter. Entertaining and packed with novelty—including quotes and commentary from the characters themselves, plus original unpublished photography from seasons 1 through 5—True Blood Drinks and Bites brings home a fun and tantalizing taste of the onscreen action.